Lock in a great price for Hotel Noordzee – rated 8.7 by recent guests! 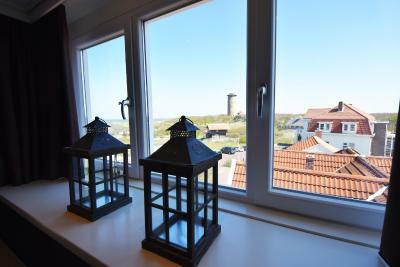 Perfect location just a few steps to beach and village center. 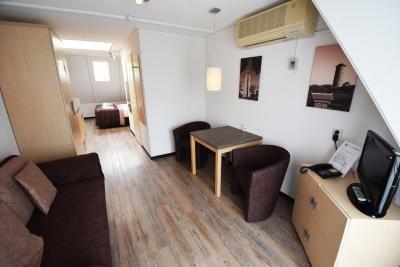 The rooms are spacious, clean, and have a sitting area with 2nd TV. 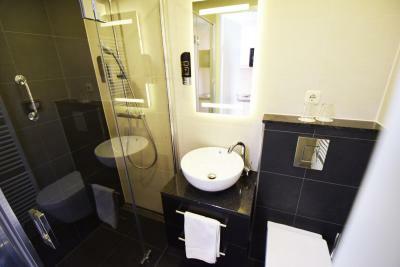 The hotel exceeded expectations because the bathroom had been renovated to the most modern standard since our last visit nearly 5 years ago. Breakfast buffet offered good variety. Kitchenette is a real plus. Didn't use the microwave or stove but it was nice to have fridge to keep drinks cold. All staff members were friendly and helpful! Highly recommended. The location is great. You can leave your car in the parking for the whole stay. No car needed. The manager is very friendly and helpful with tips on activities. 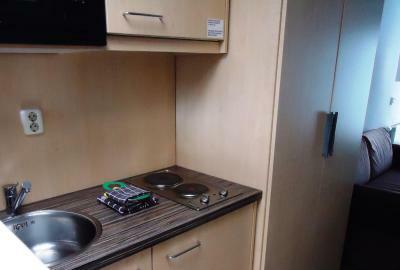 We had a large room with kitchenette so it was nice to be able to make coffee and have a fridge. 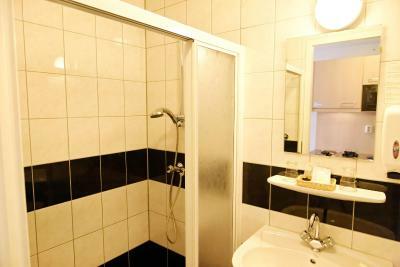 The bathroom offers enough space as well and has a very nice shower. 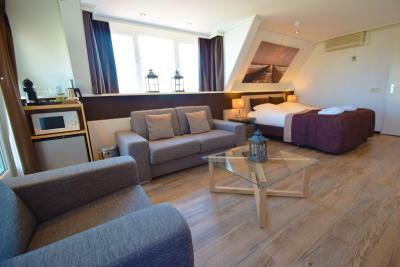 Rooms are nicely decorated and very clean and comfortabel. 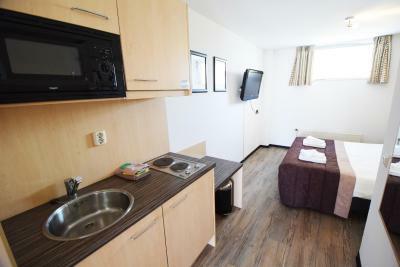 Perfekte Lage des Hotels. 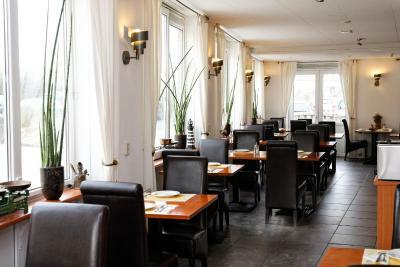 Zimmer 2 herrlich lange die Abendsonne genießen. Freundliches Personal, Chef stets nette lustige Worte auf den Lippen. Sehr gutes Frühstück; das I-Tüpfelchen das täglich selbstgebackene noch warme dunkle und helle, herzhafte und süße Brot. Kostenfreie Parkplätze direkt am Haus. Frühstück war gut, Lage war sehr nah am Meer. 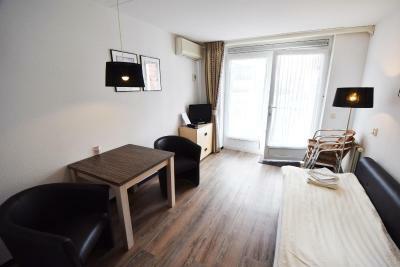 Das Zimmer war sehr schön, auch mit drei Personen. Die Lage des Hotels ist einfach super, noch keine 200m vom Strand entfernt. 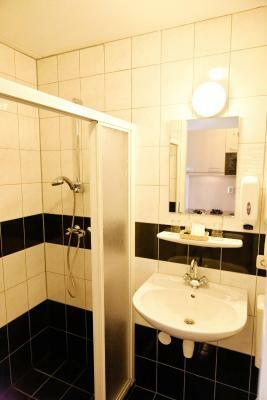 Das Personal ist sehr freundlich, die Zimmer sauber und der Komfort angepasst. Ein Reisebett fürs Kleinkind wurde kostenfrei zur Verfügung gestellt. Die Auswahl beim Frühstück ist ausreichend. 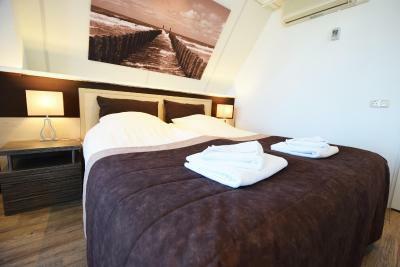 One of our top picks in Domburg.Hotel Noordzee is situated in a pretty location among the dunes of Domburg, less than a minute from the sea. 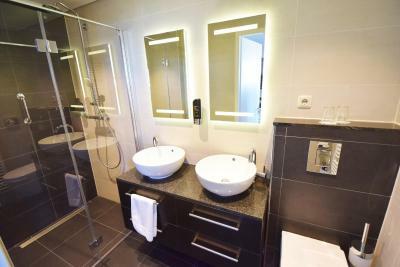 The hotel rooms are modern and nicely decorated. 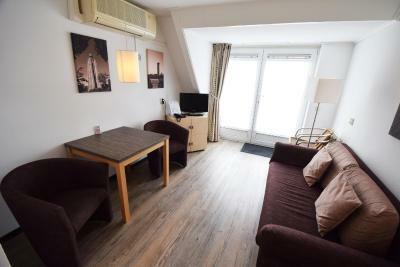 Each room has coffee and tea making facilities and a kitchenette. 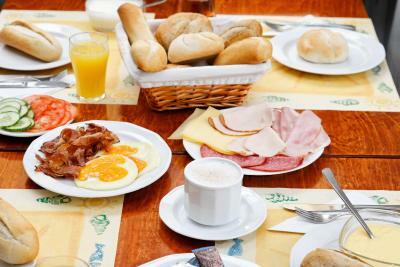 An extended breakfast buffet is offered with a variety of fresh products. 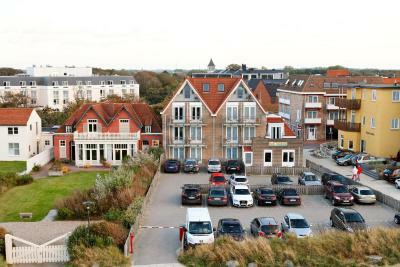 The area around Domburg is well-known for its picturesque villages and lively shopping streets. 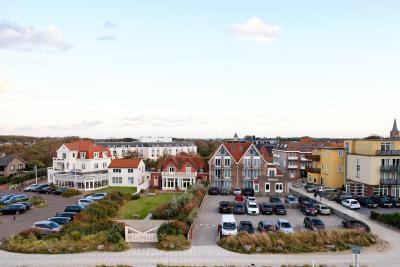 You can cycle or go hiking along stunning paths through the dunes of Walcheren. In the area, you will find plenty of restaurants, bars and cafés. Free private parking is available at the hotel. 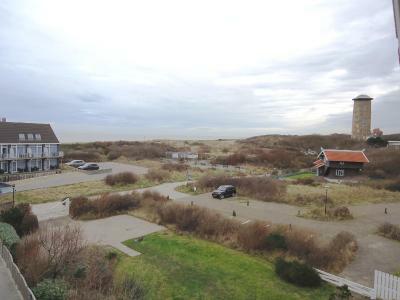 This property also has one of the top-rated locations in Domburg! Guests are happier about it compared to other properties in the area. 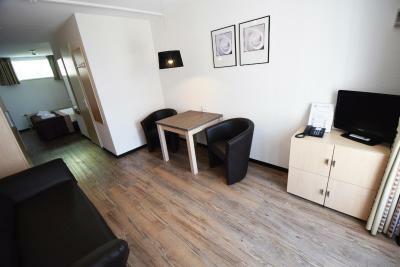 These rooms are located on the ground floor and 1st floor of the hotel. One extra bed is possible. These studios are located on the 2nd and 3rd floor of the hotel. 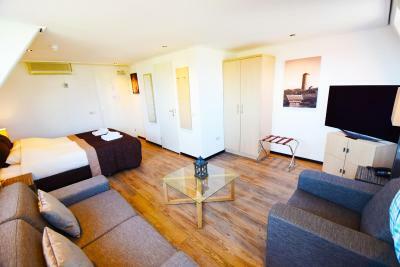 This suite features a balcony, air conditioning and sea view. One child under 1 year is charged EUR 5 per person per night in a crib. 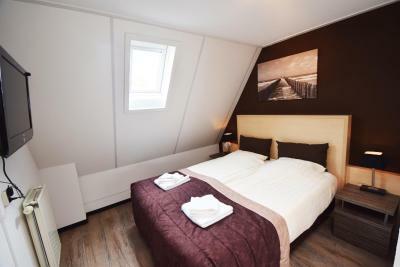 One child from 1 to 14 years is charged EUR 20 per person per night in an extra bed. 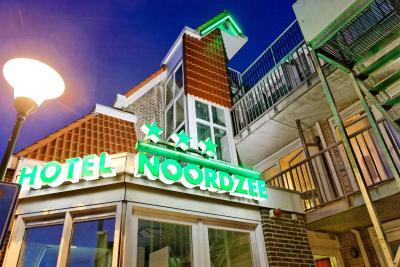 ATM card Debit card Hotel Noordzee accepts these cards and reserves the right to temporarily hold an amount prior to arrival. 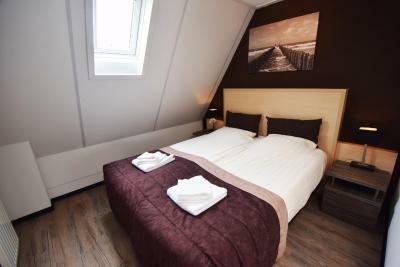 Please note that the charge of EUR 5 per night per child still applies when guests bring their own cot/crib. 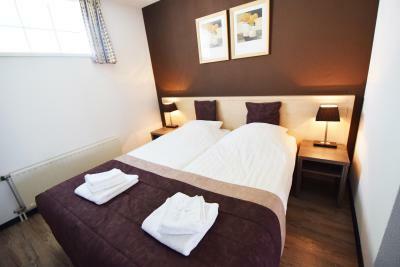 Please note that an extra bed can only be put in the Triple Room. Extra beds are on request. Also note that credit cards are only used as a guarantee and not as payment method. The breakfast is ok, the coffee however is really not that good. Beds were too soft to be comfortable. Breakfast available 8:30-10:00 and the breakfast room is VERY full until well after 9:00. 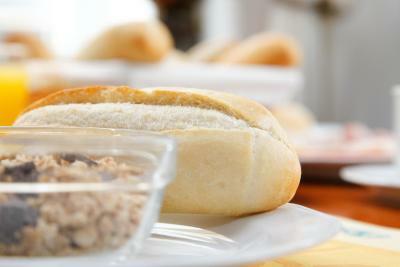 Avoid the rush and go eat breakfast at 9:30 when it is emptier and quieter. Nothing really. Two tips : the breakfast buffet is very nice but would be even better with fresh fruit and maybe a bit more variation in type of cheese. Tinned fruit is not really healthy because it contains too much sugar. 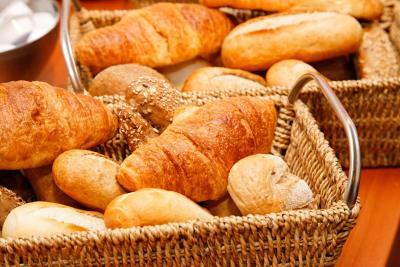 Also there were not always enough croissants for guests who came to breakfast after 9 am allthough breakfast is served until 10 am.